Please join us for a very special celebration on Saturday, June 16, 2018, at the Liberal Arts Campus of Long Beach City College to acknowledge an important milestone for the College our 90th Anniversary. For nine decades, Long Beach City College has lifted individuals and families out of poverty through the gift of education, educating those who may not have access to higher education, stimulated our local economy by providing skilled workers in our community’s most thriving industries provided learning opportunities for those that want to make career changes, and enriched the lives of lifetime learners. Long Beach City College is noted nationally for its partnerships, programs, academics, and athletic accomplishments and your support ensures that we will continue to deliver high-quality education and programs to the community. Guests at LBCC’s 90th Anniversary Gala will enjoy a red carpet experience on arrival, a Silent Auction packed with exclusive experiences only LBCC can offer, and a Live Auction that will leave you feeling like you made a difference. You will have the opportunity to mix and mingle with 500 of Long Beach City College’s most prominent supporters before heading into our event space for a truly memorable meal and experience. 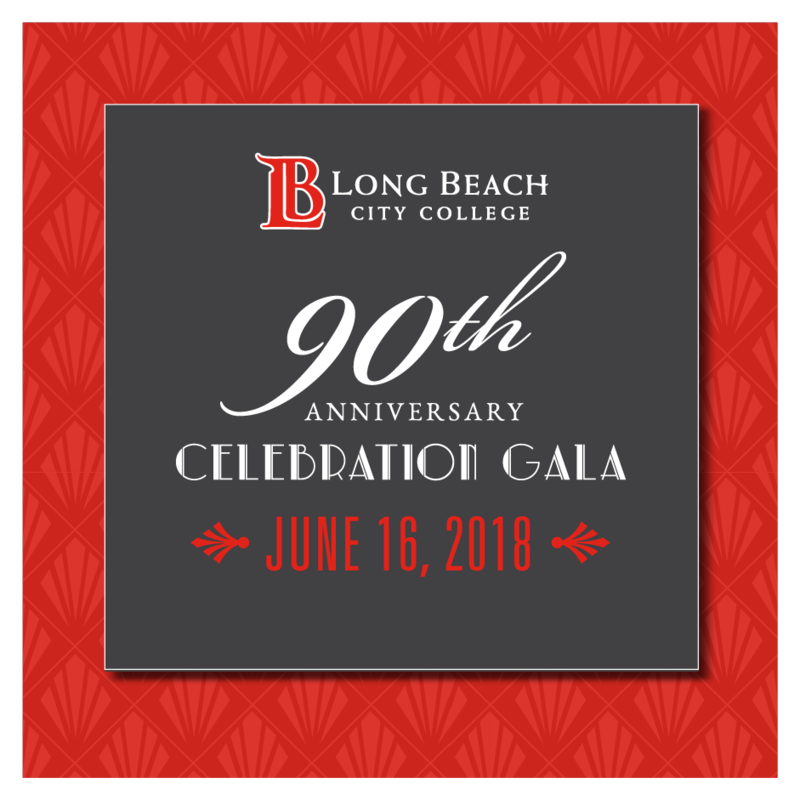 We hope that you will support our students and educational commitment by serving as an event sponsor for Long Beach City College’s 90th Anniversary Celebration Gala.